Linacre House is now a boys’ boarding house. It is a fine Georgian building, incorporating part of the medieval prior’s lodging. Horatio Nelson’s brother William was a Canon here from 1803 to 1835, and Lady Hamilton visited him. It was later used by the Royal School of Church Music. Linacre became a School boarding house in 1953. 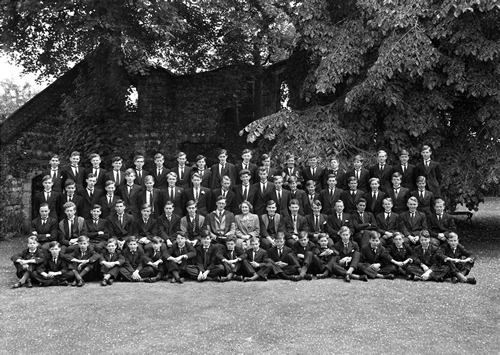 In the first house photograph (illustrated) the Head of House is Roger Symon, later a Canon of Canterbury and School Governor. Girls were attached to the house from 1974 to 1990.